Caratteristiche: Uve da cui è prodotto: Nebbiolo 100%. Il colore del vino è rosso rubino con riflessi granati. Il profumo è netto e intenso, con sentori di vaniglia, spezie, rosa appassita e sottobosco. Il sapore è asciutto ma morbido, pieno, vellutato e aromatico, lungamente persistente. Gradazione alcoolica: 13,5 % vol. Abbinamenti consigliati: ideale nell'accostamento a piatti di carni rosse, importanti, e a formaggio di media e lunga stagionatura, può piacevolmente anche accompagnare il conversare di fine pasto. Temperatura di servizio: 17 - 18° C.
"The Wine Front" has rated the wine "Fontanafredda Serralunga d'Alba, Barolo DOCG, Italy" from the vintage 2013 on 21.09.2017 with 93 of 100 points. "5StarWines - Vinitaly" has rated the wine "Fontanafredda Serralunga d'Alba, Barolo DOCG, Italy" from the vintage 2012 on 28.04.2017 with 92 of 100 points. 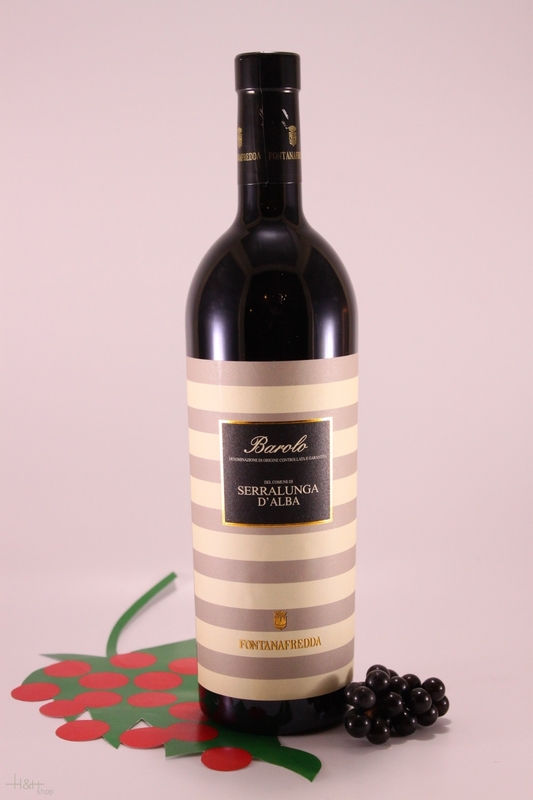 "Decanter World Wine Awards" has rated the wine "Fontanafredda Serralunga d'Alba, Barolo DOCG, Italy" from the vintage 2013 on 01.01.2017 with 91 of 100 points. "Wine Spectator" has rated the wine "Fontanafredda Serralunga d'Alba, Barolo DOCG, Italy" from the vintage 2011 on 29.02.2016 with 93 of 100 points. "Wine Enthusiast" has rated the wine "Fontanafredda Serralunga d'Alba, Barolo DOCG, Italy" from the vintage 2012 on 10.01.2016 with 91 of 100 points. "Wine Enthusiast" has rated the wine "Fontanafredda Serralunga d'Alba, Barolo DOCG, Italy" from the vintage 2011 on 02.01.2016 with 93 of 100 points. "Vinous Antonio Galloni" has rated the wine "Fontanafredda Serralunga d'Alba, Barolo DOCG, Italy" from the vintage 2011 on 01.12.2015 with 88 of 100 points. "Wine Spectator" has rated the wine "Fontanafredda Serralunga d'Alba, Barolo DOCG, Italy" from the vintage 2010 on 28.02.2015 with 93 of 100 points. "Vinous Antonio Galloni" has rated the wine "Fontanafredda Serralunga d'Alba, Barolo DOCG, Italy" from the vintage 2010 on 01.09.2014 with 90 of 100 points. "Huon Hooke" has rated the wine "Fontanafredda Serralunga d'Alba, Barolo DOCG, Italy" from the vintage 2010 on 13.05.2014 with 91 of 100 points. "Wine Enthusiast" has rated the wine "Fontanafredda Serralunga d'Alba, Barolo DOCG, Italy" from the vintage 2010 on 10.01.2014 with 92 of 100 points. "Falstaff Magazin" has rated the wine "Fontanafredda Serralunga d'Alba, Barolo DOCG, Italy" from the vintage 2009 on 04.09.2013 with 92 of 100 points. "Luca Gardini" has rated the wine "Fontanafredda Serralunga d'Alba, Barolo DOCG, Italy" from the vintage 2009 on 01.09.2013 with 91 of 100 points. "Wine Spectator" has rated the wine "Fontanafredda Serralunga d'Alba, Barolo DOCG, Italy" from the vintage 2008 on 31.03.2013 with 91 of 100 points. "Wine Enthusiast" has rated the wine "Fontanafredda Serralunga d'Alba, Barolo DOCG, Italy" from the vintage 2009 on 09.01.2013 with 89 of 100 points. 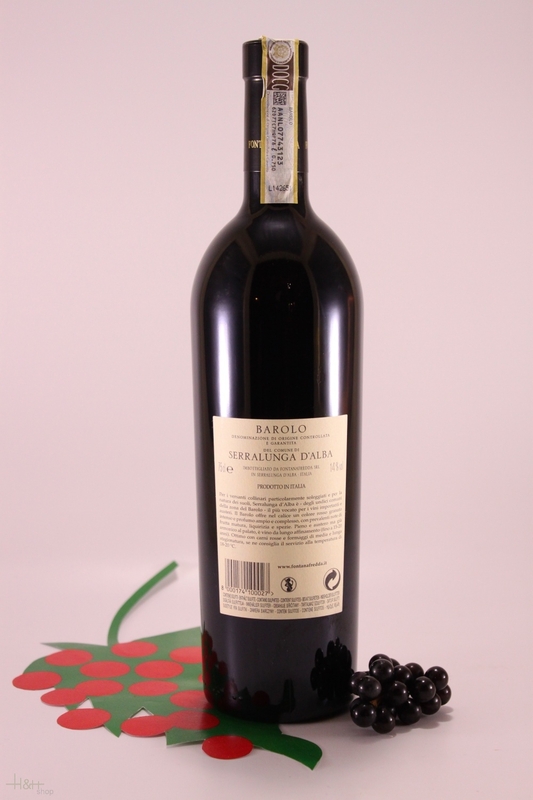 "Vinum Wine Magazine" has rated the wine "Fontanafredda Serralunga d'Alba, Barolo DOCG, Italy" from the vintage 2008 on 01.11.2012 with 16 of 20 points.